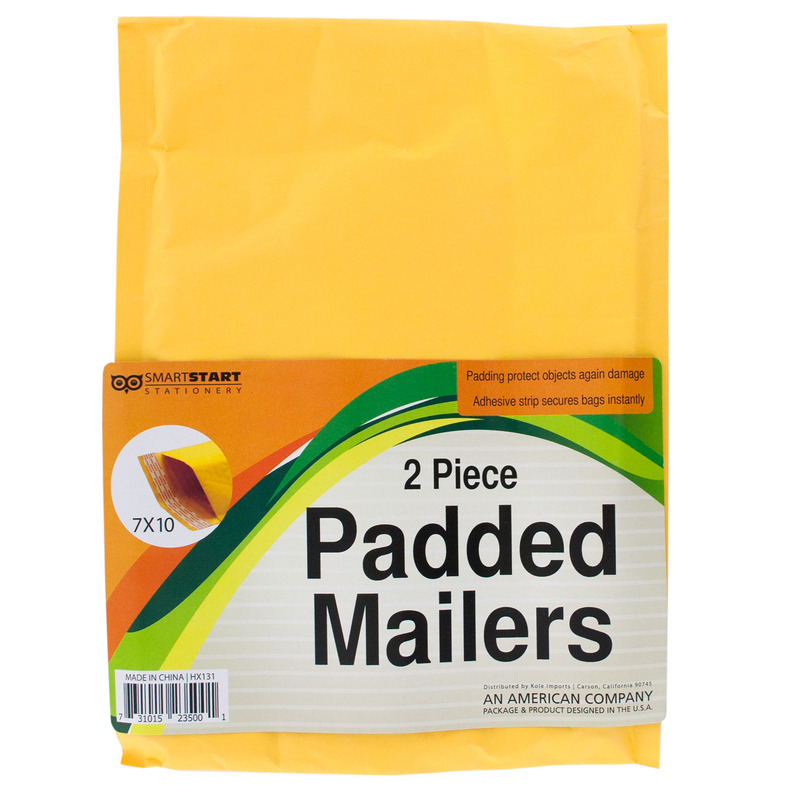 Safely and securely ship items with this 2-piece Medium Padded Mailers Set featuring durable paper envelopes with padding to protect against damage and adhesive strips to seal instantly. Each mailer measures approximately 7" x 10". Comes packaged with an insert card in a poly bag.